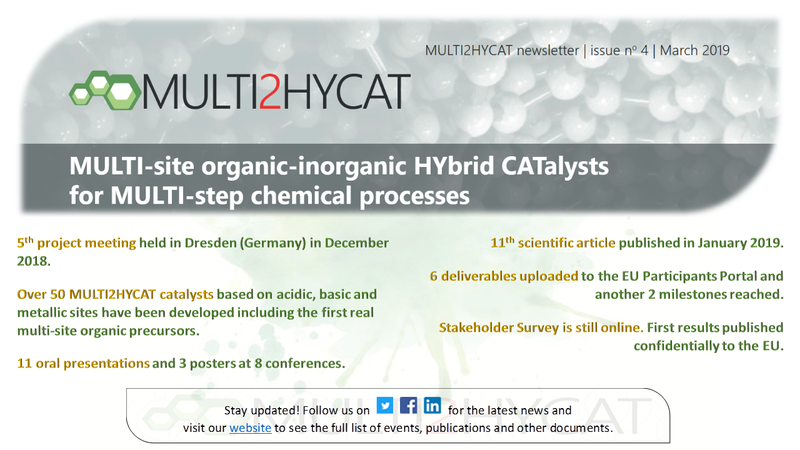 Have a look at the 4th MULTI2HYCAT Newsletter to get a brief update of our progress during the last project period. Read about our last and the upcoming project meeting. Get more details about our catalytic platform. See a summary of all the talks and posters presented at conferences. Learn where to meet MULTI2HYCAT in the future.